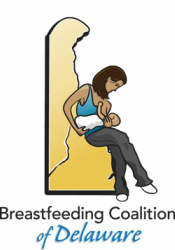 Donate to the Breastfeeding Coalition of Delaware Today! Please help us support, promote, and protect breastfeeding in Delaware. Any donation is greatly appreciated!